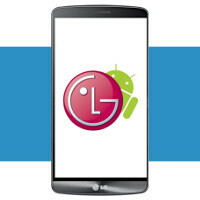 Last month, we told that the Android 6.0 Marshmallow update for the LG G3 was rumored to arrive between 16 and 18 December for users in Poland, which is LG's usual test market for new Android updates. Today, we've received official confirmation that LG is getting ready to release the Android 6.0 Marshmallow update for the LG G3. LG has just posted the source code for the LG G3's Android 6.0 Marshmallow code on its developer website. More to the point, LG has published the source code for the Marshmallow update that will soon roll out to the LG D855. This is the international version of the LG G3, which will probably be the first variant to be updated to the new Android version. As is the case with most Android updates, carrier and region-specific variants of the LG G3 might get the update with various degrees of delay compared to the international variant. Back when it was launched in Q1 2014, the LG G3 was one of the hottest Android smartphones on the market. With specs such as a 5.5-inch IPS display with a resolution of 1440 by 2560 pixels, a Qualcomm Snapdragon 801 chipset paired with 2GB of RAM, 16GB of microSD-expandable storage, and a 13MP primary camera with OIS, the LG G3 remains a potent smartphone to this date, and with the Android 6.0 Marshmallow OTA update apparently ready to roll out, the handset can only get better in the near future. If you're an LG G3 owner, this would be the perfect time to learn more about the most recent version of Android and the perfect way to achieve this goal is to go ahead and read our detailed Android 6.0 Marshmallow review. What about g flex 2?It should receive 6.0 right after G4 O.o. PA and facts just don't go together. Somewhat off topic, but does anyone know if Lollipop will be released for single SIM LG L Bello (D331)? I've seen it was released OTA in Colombia, Mexico and Turkey, but not in Europe. Can we expect it too, or LG has a policy to release updates only in certain parts of the world, regardless if it's EXACTLY the same model? Thanks in advance for you answer. That will be depending on LG Europe, and they ultimately have final discretion to release the update or not. My LG G Pad 8.3 never got the Lollipop update even though the Korean WiFi and US 3G/LTE models got it. Your best bet is to flash the Lollipop ROM onto your device. LG G3 has a screen resolution of 1440 x 2560 pixels and not 1080p as the article says. Anyway, I hope the G4 follows soon. And the 32GB model has 3GB of RAM. Where you from? G4 has gotten most over Europe and Asia (I think). If you are from US, well,I feel for you. I'm from Puerto Rico. Sadly, we are some times treated as a USA market and sometimes as a Latin America market. Well at least it's getting Marshmallow but you can't update mediocrity. Not as much as your brain. G3 runs way too good! Its the 855 international model tho. I guess I'll wait for devs to support all versions. Speaking of G3, G3 moto x play/maxx 2?